Listen, my website is crap. I know that. I do not sell goods or offer any kind of service other than the occasional “waste your time reading my posts”. That being sad (intentional typo here), the damage made was small (more like none) compared to big websites. From a marketing and customer care perspective, whether I am a big website or not, is meaningless when we are talking about a failure of delivering service which I (the client) am paying for. 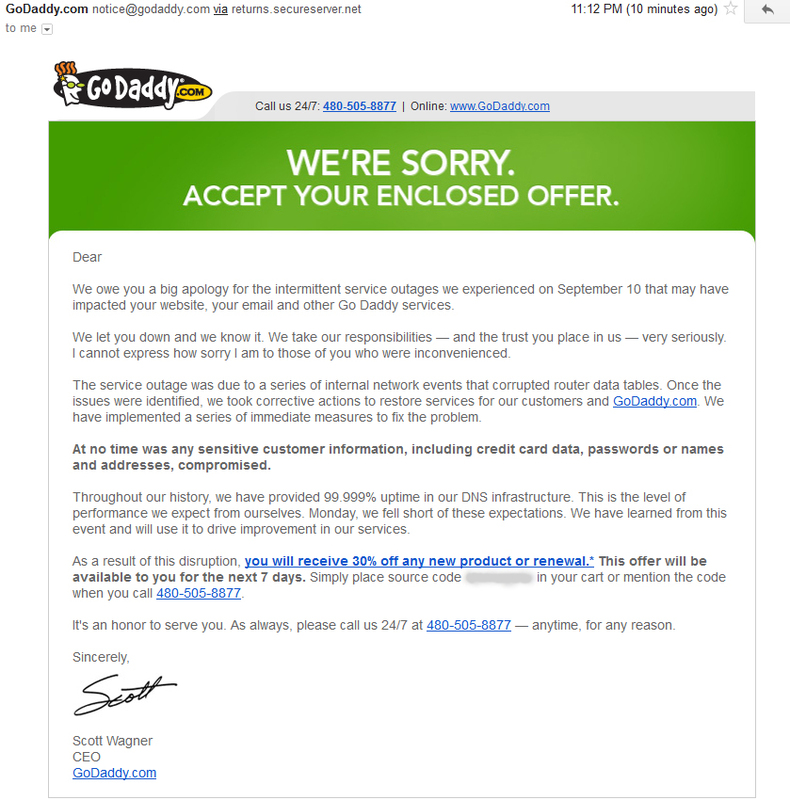 So I wonder, who was the genious inside GoDaddy that thought sending an email with a 30% discount code for (and here’s the catch!) new purchases or renewals is a decent way to apologize for your service outage?